It is not a surprise that as a construction company you have a wide range of needs when it comes to fasteners. At Grove Hardware we have been in this business a long time and we know that above all else, you want selection. 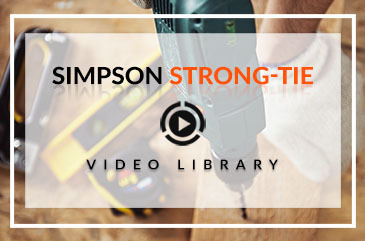 You want to assure that you can go to a single spot and get all the construction and job site supplies you need. That is why we offer a huge number of fasteners. We also employ experienced staff who can help you find the right choice for your job. Read on to learn about some of the options we carry and then come in to learn more. If you are working with concrete and / or masonry and need the best possible performance, then there is a good chance that the Titen HD Heavy-Duty Screw Anchor is going to be your best bet. It is designed for maximum performance for both cracked and uncracked concrete. It is also made to work perfectly under both seismic and static loading conditions. The next generation of wedge anchor, these options are excellent for both cracked and uncracked concrete. They have received the highest possible classification for performance in cracked concrete with both seismic loading and static loading. This metal-deck insert is internally threaded to ensure it the attachment point is ready for several diameters of threaded rod. It is used for everything from plumbing utilities to hanging electrical, and other mechanical needs too. If you’ll be handling several types of concrete and masonry jobs then these Titen screws may come in handy. 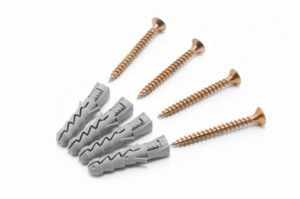 You can use either 3/16 inch or 1/4 inch diameter hardened screws to attach any component to concrete and masonry. We have these available in three different colors and in both hex design and Philips head design. This anchor is a very easy-to-install expansion anchor that we recommend in many different situations. For example, it is great for using in concrete and grout-filled block. We offer four head styles to ensure that no matter what application you are using it for, we have you covered. Easily keep track of parts with the integrated nut and washer on the Pin-Drive Expansion Anchor. It is made for medium-duty and heavy-duty fastening applications into grout-filled block or concrete. Is there one product we always recommend over others? No – it all depends on what you are doing. 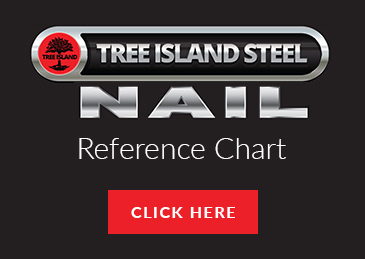 One thing you can count on is a selection of hundreds of anchor and fastener options. You can also count on our experienced staff to offer you the advice you need to select the perfect product for your job. 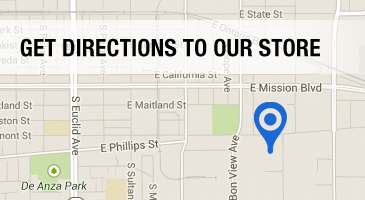 Call Grove Hardware today at 909-544-4331 or give us a call at 909-544-4331.